So we are working on a new office for the BundiWater Project up at the mission community center (our main church building). Our hope is that this office will allow Jeff and I to have a dedicated space to interact with the community, coordinate with each other, and store our water project tools. In today's day and age, the office needs internet. Here we are working on a data cable that will feed to a wireless bridge that will go to my house and allow the office to piggy back on my internet connection. Instead of working on ladders 25 feet up, we decided it was easier to pull up a few roof sheets and install from the top. All that remains to be done is install the bridge, move in the computer, print up a few engineering posters and we'll be all set. Yesterday I just returned our last borrowed camping item. I always forget how much work goes into camping and how tired you are when you come home. But there is something about the quiet, the solitude, and the beauty of nature that keeps us campers coming back for more. 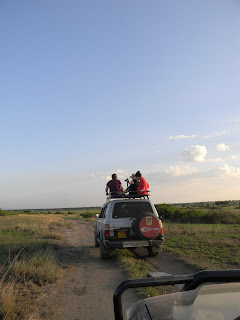 About a week ago we took our summer interns to Queen Elizabeth National park to see some of Uganda’s wild life, other than the rats, snakes and spiders they already had to experience. 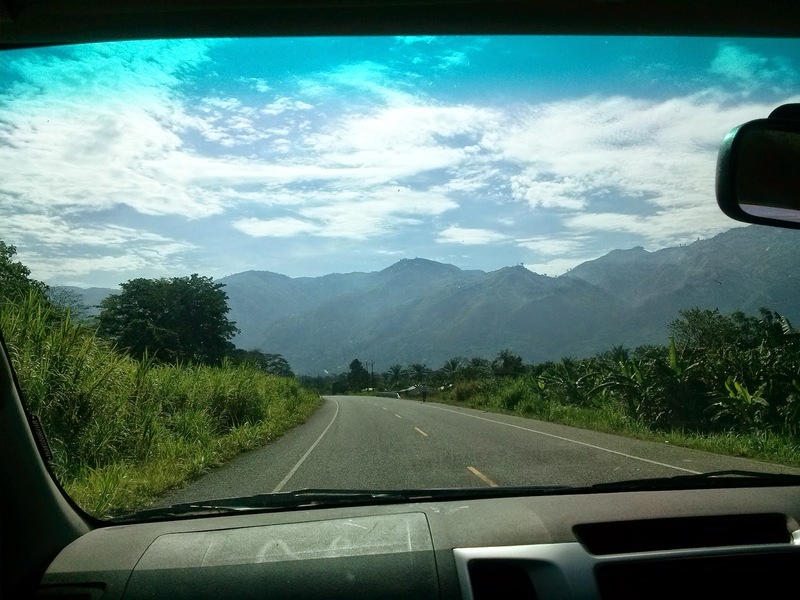 Drive to south to Kasese, and cross the equator. Arrive at the park, catch some elephants grazing on the road. Warthogs decide the spot next to our tent has delicious grass. Hotdogs over the fire and a visit from the other campers, because their tent is surrounded by hippos. The sky is filled to busting with stars! We listen to elephants trumpet, hippos grunt, and hyenas whoop as we nod off to sleep. The moon is so bright we keep waking up and thinking its morning. Josh and I enjoy breakfast and a mongoose family visit. Baking in the heat… no shade at this site -1 point. Lunch at fancy safari lodge. Interns join us at the camp site. Then go on a lion hunt. 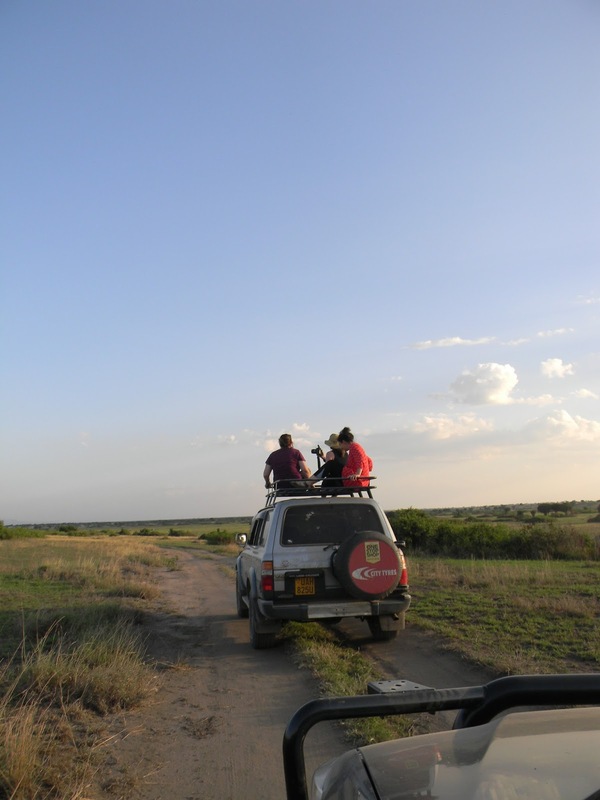 Evening game drive with the fastest lion siting in my life (maybe 10 minutes)! And I got to see an adult male lion actually lift his head. Never seen that before in 10+ safaris! These are lazy creatures let me tell you. 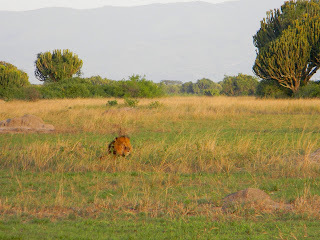 Then a cub crossed the road on our way out. Lucky in lions for sure. Back at the camp we chow down on chili and s’mores. Katie gets attacked by resident bird in the bathroom… at least it wasn’t the wasps. Tell embarrassing stories round the campfire. Bacon and eggs over the fire. Interns go home with Ann and Sarah. Josh and I, the other Sarah and Ashley head to Kingfisher outside the park to sleep, and enjoy food someone else cooked for us! never get tired of that view! Then home again, home again jig-itty jig. There was a knock at the door. I checked the clock. Was only 8:15. Waiting out side was an elder from our church and two somber looking young men. We greeted. The elder apologized for coming so early, but there had been a death. In April, G had come to our house explaining that her daughter M had been having trouble with a wound, where she had lost and eye years ago. The family had taken her to the capital to a hospital. Now they knew M needed surgery, but all the money had been used up. I had been to sit with the G and M several times on my language walks. The family always welcomed me and told me to, “Come back and you will be happy.” M, probably in her early 20’s, was cheerful and kind despite her injury. We would sit and laugh as I tried to say things and they graciously helped me. We made a contribution to the expenses, and prayed for G and her daughter M.
And, now the news that M had died. How could this be? She has seemed so healthy, so full of peace, and unexpected strength. The elder from our church who brought the news was a neighbor to G and M. His wife often joined us when I sat at their home. The two young men with him were M’s brothers who had been caring for her at the hospital in Kampala. The family does not have land to burry in Bundibugyo, so they are traveling to a other family land where M will be buried far away. I will not be able to go and mourn with the family. Then the grief seeped in. Another lost, another death, the brokenness of creation. Yearning for all things to be made new. Cries to him. Questions. I am not accustomed to this kind of grief, and I wonder at the heaviness that people carry here with constant loss of children who often die of preventable causes. Of corruption in the medical system and the lack of care. Of hunger and the imprisonment of addiction. So much darkness. Such burdens. This idea of a yoke is striking. He doesn’t say, “come and I will remove the yoke”, he welcomes us to enter into his. Not to pull alone, but to walk next to him. To let his strength bear the heaviness. Then he shows us his heart, gentle and lowly. Our God suffers. This is something that I have known since I was a five year old in Sunday school spouting that “Jesus died on the cross for our sins” But the gravity of this has only begun to sink in as I have seen and known more suffering. Suffering happens to us, God allows. We resist. But Jesus considered his equality with God, let it go, and chose to suffer and die. This allows him to be on the ground with us when we can’t get up. When pain is overwhelming. He is the gentle lifter of our heads, the collector of our tear. He carried our greatest burden of sin once and for all. And he is uniquely fitted to walk with us in each of our sufferings. Philippians 2 tells us that after Jesus emptied himself, and in humility was obedient even to the point of death, the Father then exalted him. Glorified him! Through this suffering, one day every voice will say that Jesus is Lord. What redemption! Suffering that turns to glory is his plan. That in death, eyes can be made whole, new bodies given, voices freed to praise him forever more. This kind of glory seems a long way off, but I hope for it, and today longed for it with new freshness. And was graciously reminded that as I plod onward, he walks beside me shouldering the weight of the burden. 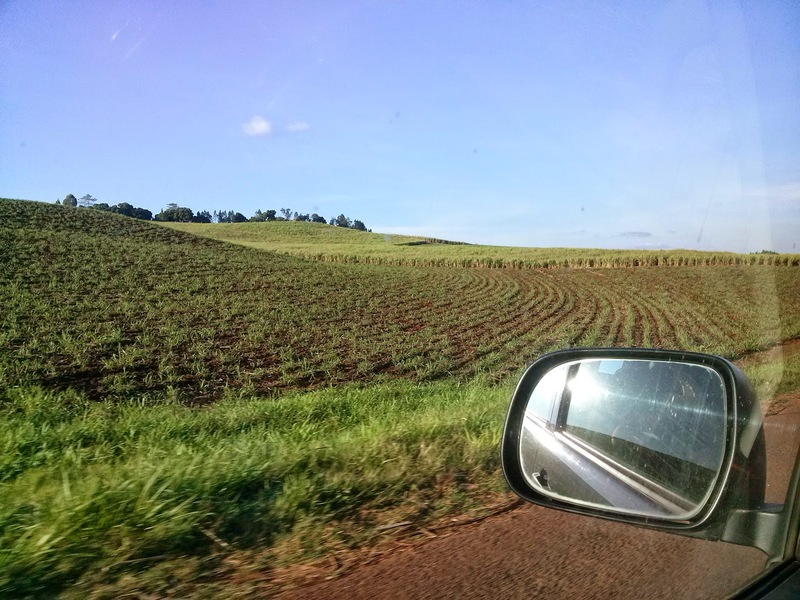 Sugar cane fields of Jinja Uganda, getting closer to the boarder. 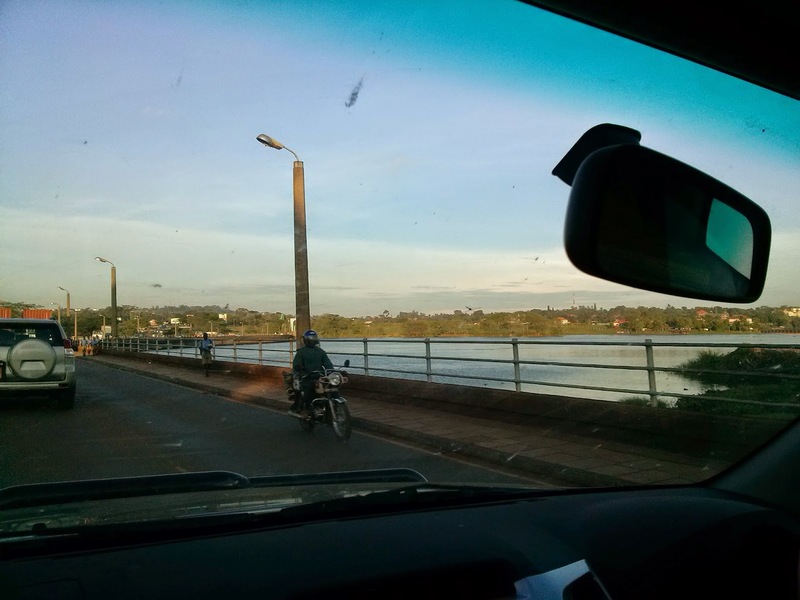 Crossing the River Nile dam in Jinja just near lake Victoria. 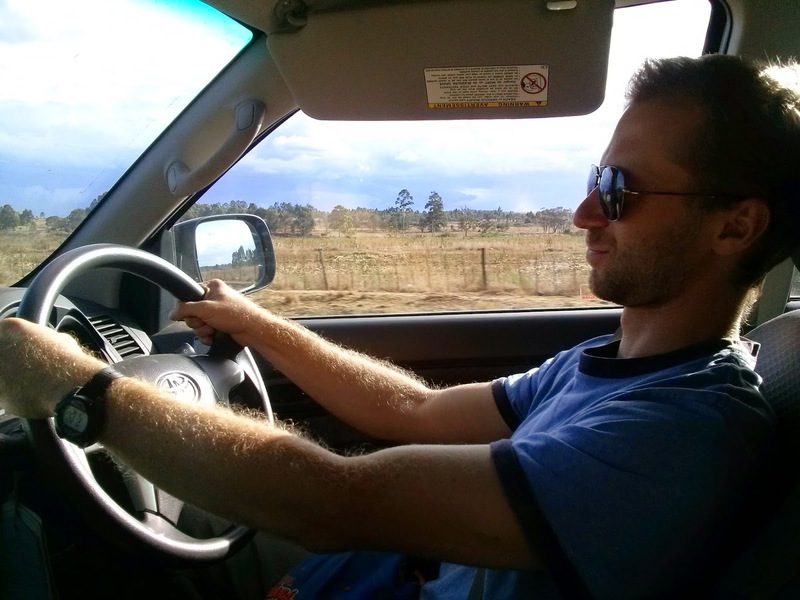 Amazing driver husband! Always so focused! 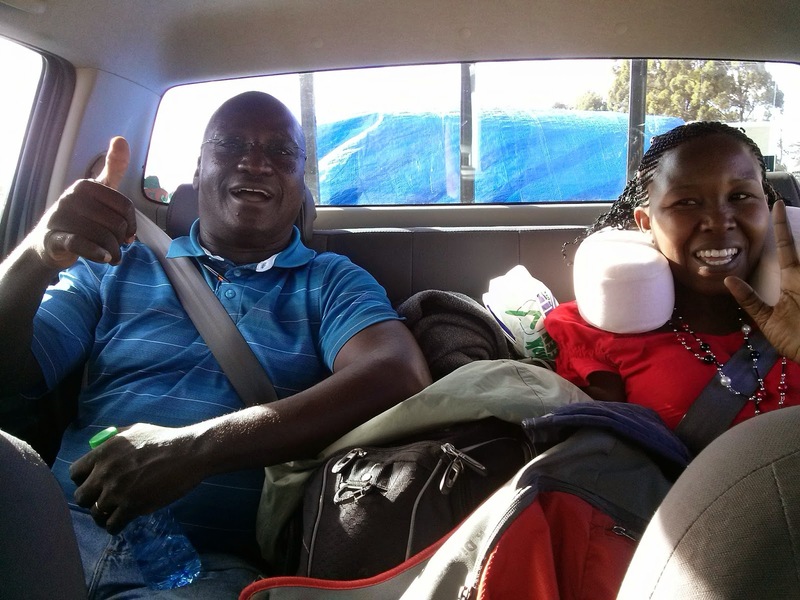 Our traveling companions Isingoma and Christine. Still smiling, (this was taken before our almost 2 hour stop trying to get through the boarder.) Though I am pretty sure they were cheerful the whole way! 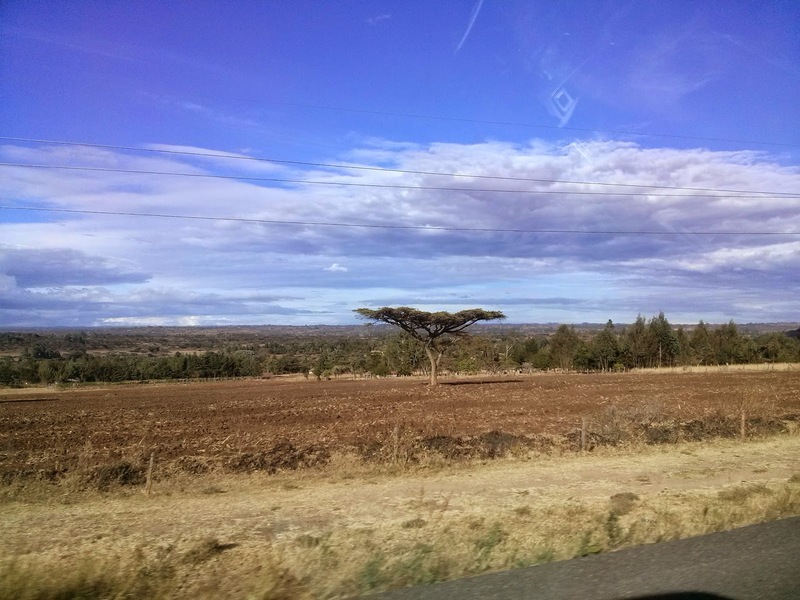 Definitely a change in scenery as we crossed into a drier Kenya. 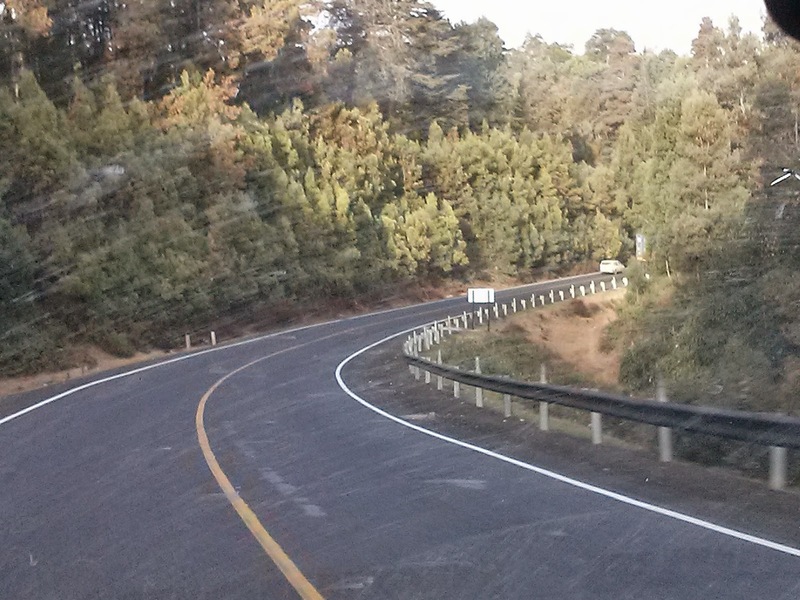 Pine forest, and look at that road... where are we again? Mt. 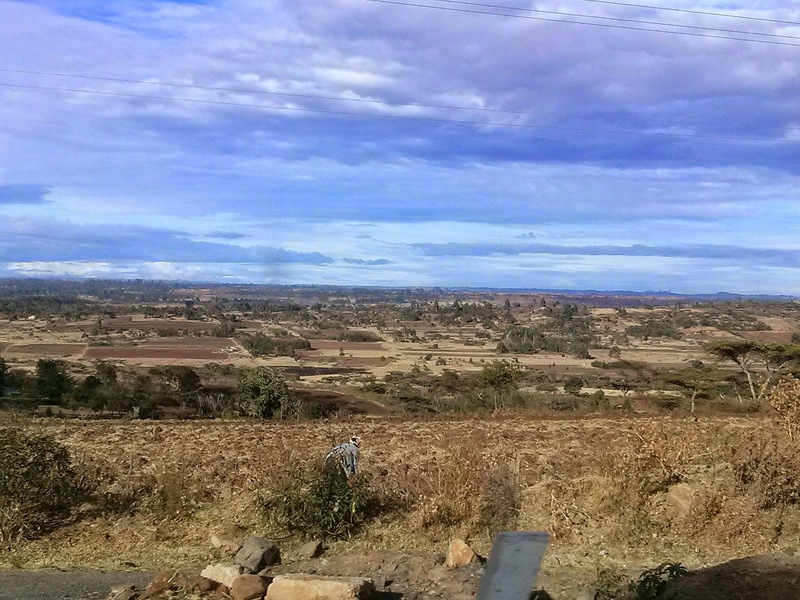 Longonot, which can be seen from RVA. Through the pine forest again up at an altitude of over 8,000 ft. The sheep adding to the pastoral scene. onward to the mountains and Eldama ravine our night spot off at 9,000ft. back into Uganda... now that's a lot of sugar cane. We arrived in Kampala just in time for rush hour, after being in the car since 6:30 am. Grocery shopping hurriedly done, a short sleep then seven hours back to Bundibugyo for a water meeting for Josh the following day. It felt like the rest and refreshment of the trip was sapped away, but God is faithful to remind us of the work he has done in our hearts and we are full of wonder at his creation that we got to witness.